At Enhance Dental we strive to relax any nervousness you may have. If you are nervous about any dental procedure, wary about what may be required or frightened of the needle, at Enhance Dental there is no need to worry or be nervous. Our team at Enhance Dental are friendly and sympathetic about whatever it is that may cause you grief. We dedicate as much time as you need and listen attentively and to help reduce your fears or anxiousness, never make assumptions and have a calming and unhurried approach. Some nervous patients are anxious about what the dentist may say, in fear of being reprimanded about the state of their teeth. Don’t worry, even if you have badly neglected your teeth or realise you should go more often, we don’t make you feel bad about your dental concerns. We give encouragement and explain slowly and carefully before any treatment is performed. 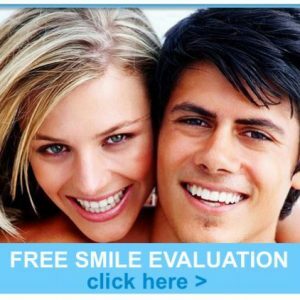 We then only do your dental treatment once you are happy to proceed. We understand you may have fears of the dentist or a dental phobia from your childhood days. These dental concerns can be deeply entrenched and may require more than just a relaxed and comfortable environment. Pleasant distractions such as watching a wide choice of DVDs, Netflix or listening to calming music during your procedure. Our dental surgery also helps nervous patients with its state of the art dental equipment, materials, dental chairs and sterilising procedures in private treatment suites. This can also give you peace of mind and greatly help reduce any fears or nervousness you may have. Other services for nervous patients are listed on the left menu. If you are a nervous dental patient, please don’t be scared to call us on (03)95338488 to experience the Enhance Dental difference!